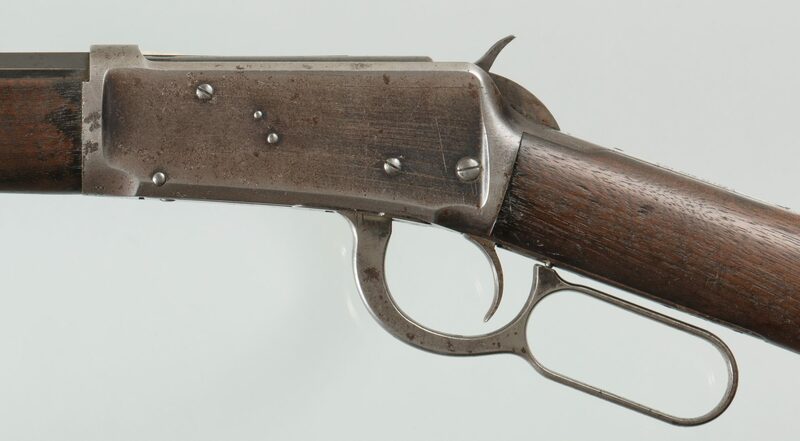 Model 1894 Winchester rifle, .30 WCF (Winchester Center Fire) Cartridge. Serial number 77628. Barrel marked, "MANUFACTURED BY THE WINCHESTER REPEATING ARMS CO. NEW HAVEN CONN. U.S.A.". 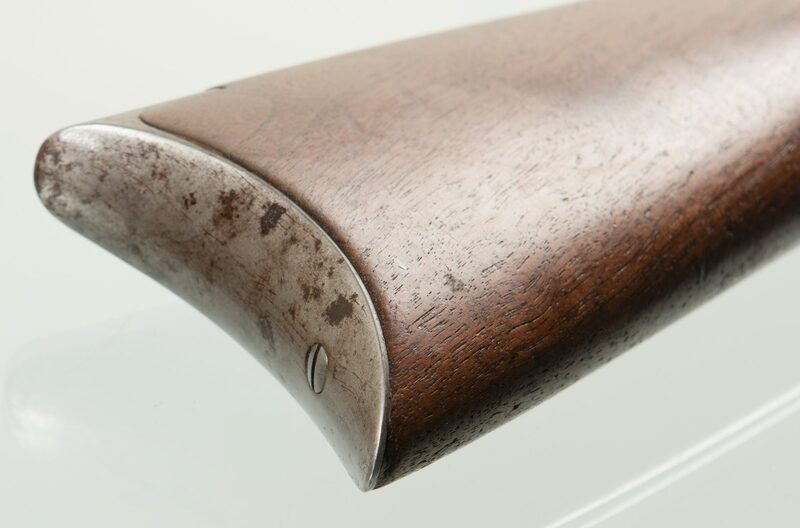 Rear sight marked, "Marbles Gladstone Mich. U.S.A.". 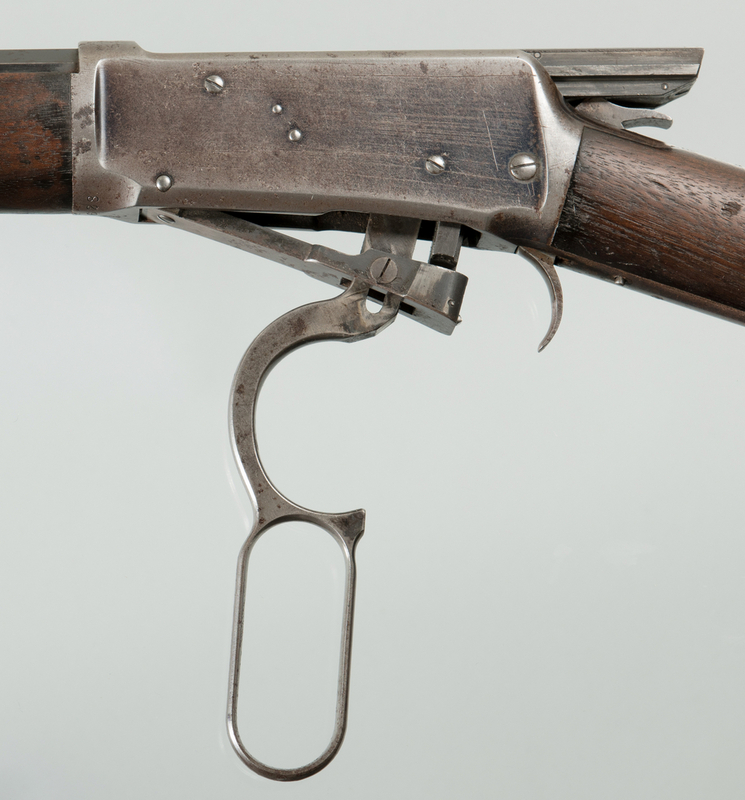 Tang marked, "Model 1894 Winchester Pat. Aug. 21. 1894.". Walnut stocks, metal frame, octagonal barrel. Marble Arms front and rear sights. 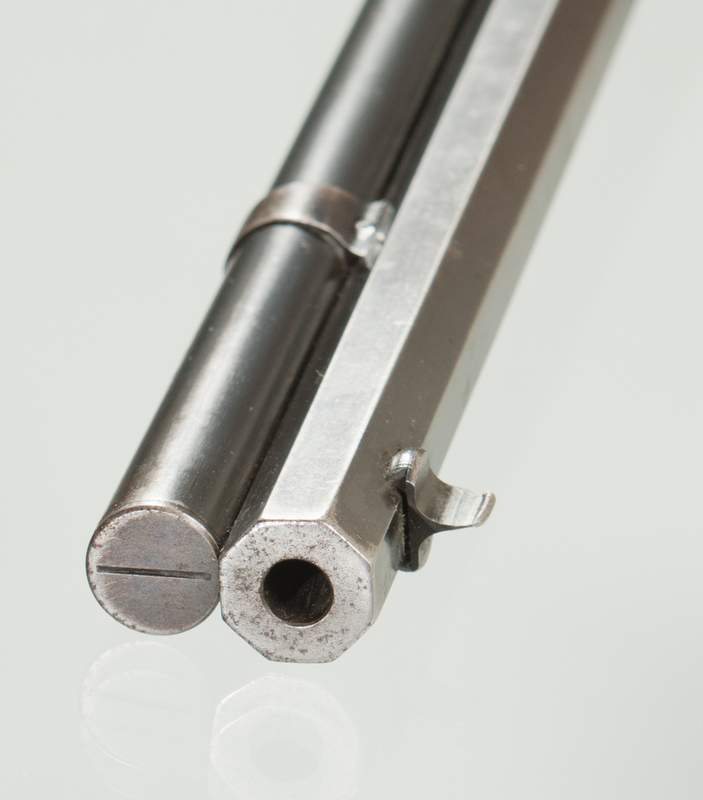 Barrel length – 26". Overall length – 44". Serial number corresponds to year 1897. CONDITION: Bore is dark. 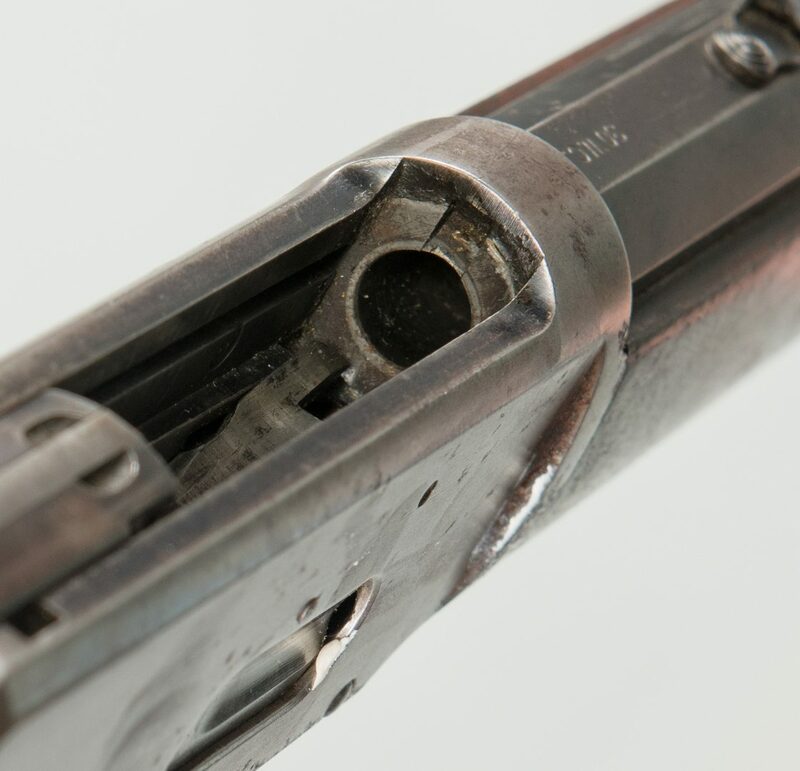 Front and rear sights have 50% thinning blue. Magazine tube is good. Receiver and forearm cap retain hints of blue but have patches of light to moderate pitting. Stocks are good and has only minor dings. Excellent mechanics.